I wasn’t sure I was qualified to review a story predominantly aimed at children, so I found three people who fitted the criteria and we read the book together; so thank you to Noah, Alistair and Ralph for their input. The story is funny, engaging and imaginative and the characters intriguing. Scapegoat’s appearance was a real talking point for the boys and we all loved the concept of Roget the optimist and Kiljoy the pessimist. I particularly liked the wonderful play on words running throughout the book and commend the author for their inclusion as these touches made the book entertaining for adult readers. I was impressed that Schwartz had weaved such an entertaining plot into his fantasy novel as a backdrop for his characters. The eclectic band of friends travelled through an imaginary land, collecting others on their way and having a variety of fascinating adventures. The boys latched onto the idea of one character ‘smelling of old gym socks’ and thought this hilarious. The story culminated with a well-constructed conclusion, which satisfied James, his friends and indeed the readers. 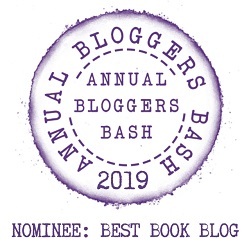 The writing style was fluent and evenly-paced and the descriptive passages conjured up vivid pictures for the boys and at times they were particularly concerned for the well being of Mayor Culpa who continually tries to take the blame for everything. Evoking that reaction was, I imagine, exactly what the author intended. Whilst the book is extremely amusing at all levels, there are also the underlying themes of self-discovery and self-worth which I think will resonate with adults and older children. 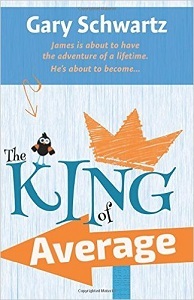 I fell in love with ‘The King of Average’ immediately, as did the boys. The wonderful disclaimer at the beginning of the book which states that anyone who objects to typos shouldn’t bother reading it, made me laugh out loud. This is a great story and I strongly recommend it as an ideal bonding-read for parents with children of seven and over. I congratulate Gary Schwartz on his début novel. He is a consummate professional with a great future as an author and I have no hesitation in awarding a very richly-deserved five stars. Thank you Julie for your kind review. I’m very pleased you liked my book.